Universal performance binoculars in the classical Porro prism design. Coated optics avoid reflections while viewing. The optical construction with large exit pupil ensures bright and brilliant images even under difficult light conditions. You have the choice of 5 different magnifications. 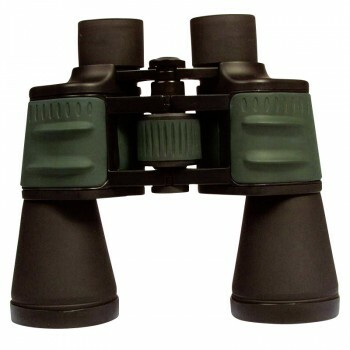 All 5 binocular types are fitted BK7 prisms. They are extremely handy due to their ergonomically shaped green/black rubber armor and the comfortably large center focus wheel.